Volunteers are vital to the work of large environmental charities like the Woodland Trust. Surprisingly though, most of what they do is not tree-planting or tree care. The range of volunteer opportunities is vast, from: fund-raising; taking part in one-off tree planting event; joining a regular work party that cares for a particular woodland; serving as a voluntary warden; assessing local climate change; searching out ancient trees, through to becoming a voluntary speaker, guide or photographer. In 2007 more than 530,000 people gave over 240,000 hours of volunteer time which adds up to over £1.9 million of value to the work of the charity. To celebrate this, The Woodland Trust runs an annual volunteer award scheme that recognises this contribution. 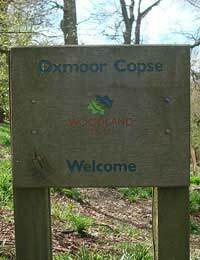 The Woodland Trust commits to giving its volunteers an established support framework; tasks they are capable of that are clearly defined with a key contact for the task; reimbursement of expenses at appropriate rates where possible and pre-agreed; equality of opportunity within the Trust; safe working conditions. Like many environmental organisations, The Woodland Trust has a remote working system that relies on the telephone and email to coordinate independent voluntary activity. The three most common voluntary roles are giving talks about the work of the trust, leading guided walks and work party attendance. The Woodland Trust asks its volunteers to: help to achieve its aims and objectives; be reliable whenever possible; raise problems or issues immediately with their key contact or another appropriate person; be respectful of the confidentiality, equal opportunities and health and safety policies of the Trust; attend relevant training and encourages them to ensure their volunteering is enjoyable and rewarding. Volunteers may, depending on the season, plant or mulch trees, check previously planted areas to ensure they have been planted and mulched correctly and ‘gap up’ which means filling in areas where saplings have failed to thrive. Such work parties will usually take place between October and March. To be a work party volunteer you have to have some outdoor working experience, and to be willing to take care for your health and safety and that of others and to understand and commit to the Woodland Trust’s woodland management principles. Obviously the Trust requires that volunteers wear suitable clothing, take sensible precautions to ensure their own wellbeing and behave responsibly in woodland. Working parties normally run from around 10:00 to around 15:00 with a break for lunch, which may be provided or which volunteers may bring with them, depending on the woodland in which the party is working. Parking may be some distance from the woodland area being worked on, and some work parties have a shared car or minibus system in operation to reduce the carbon footprint of the Trust. Acting as a Woodland Trust speaker involves talking to groups about the work of the Trust. It’s a varied role that can include prison visits, school assemblies, Women’s Institute meetings, or giving short talks to various business, sporting and social clubs. In all cases the Trust can help provide materials for the talk, and give assistance in how to answer questions at the end of the talk. The Woodland Trust has a number of administrative roles filled by volunteers, ranging from collating the results of woodland surveys through to acting as a coordinator for volunteers or being involved in fundraising programmes. These roles are usually undertaken at home and may be more suitable for those who circumstances or mobility prevent them taking a more active part in the work of the Trust. I would be interested in volunteering in the Merseyside area. I love being outdoors especially in the rain, so there would be no problem with working outside in any weather. Hello I'm interested in volunteering in the Portsmouth area. I would like to know more about admin volunteers from home. Thank you.